COASTAL access is set to improve between Mindarie and Burns Beach following two separate approvals this month. The Department of Water and Environmental Regulation approved a clearing permit application for the coastal path linking the suburbs through Tamala Park on April 8. Approval of the City of Joondalup’s application will allow it to clear no more than 2.53ha of native vegetation and require it to pay the department $23,500 to buy 1.6ha of similar bushland for conservation. The coastal path from Burns Beach to Mindarie. Expected to cost about $2.9 million, is a joint project between the State Government and cities of Joondalup and Wanneroo. The permit will expire in April 2024 and vegetation conditions in the overall 3.6ha clearing footprint range from degraded to very good. “The applicant has aligned the route along existing cleared tracks and firebreaks where possible to reduce the clearing permit,” a permit document said. It said a 2018 fauna study identified three conservation significant fauna species in the reserve – Carnaby’s black cockatoo, quenda and western brush wallaby. “Given there is substantial, similar fauna habitat surrounding the application area, the proposed clearing is not likely to contain significant habitat for the three fauna species,” it said. During public consultation, the department received three submissions, one of which raised concerns about unauthorised access to the site and asked that the path be fenced off. Wanneroo Council approved a foreshore management plan for coastal access infrastructure from Catalina estate to the beach at its April 9 meeting. The proposal includes a tarred road to a 30-bay car park and a 3m wide path from there to the beach, south of Claytons Beach. The plan, prepared by Coterra Environment for the landowner Tamala Park Regional Council, said the access route should be created to give the growing population access to a safe swimming beach. “The proposed access leads to a beach area which has been identified to be free of hazards that are present in adjacent areas, and is therefore Surf Life Saving WA’s preferred location,” the plan said. Proposed beach access will include a tarred road, car park and path linking Portofino Promenade to the beach. 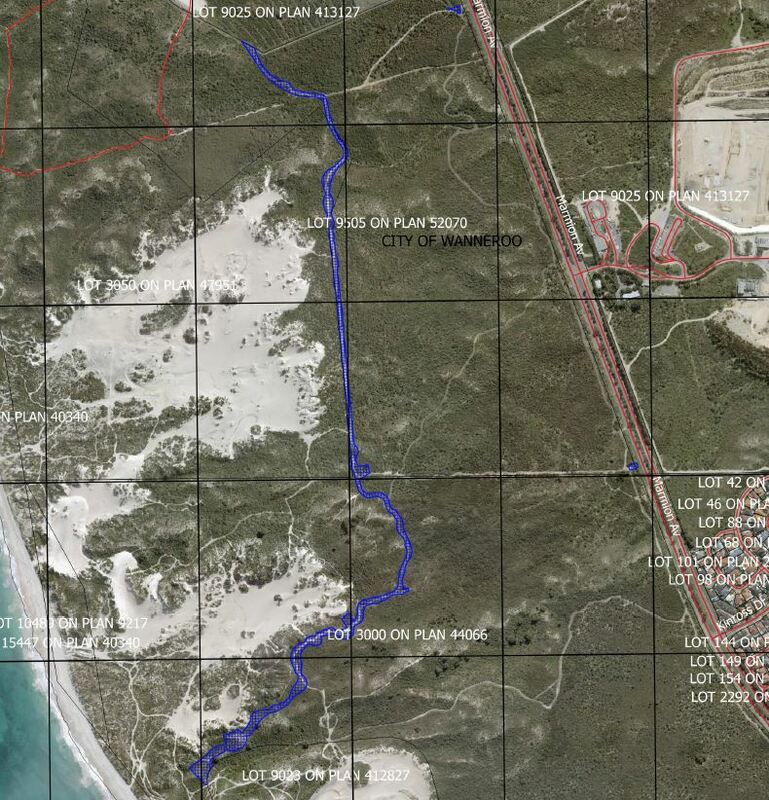 It said there were already informal bush tracks, used by people to illegally gain four-wheel-drive access to the beach. “Damage to vegetation and dune structures, which has been enhanced further by wind erosion, has occurred as a result of this uncontrolled access,” it said. With regard to a predicted 90cm sea level rise by 2110, the council report noted the car park, which had an estimated engineering design life of less than 50 years, was proposed to be behind the 2070 vulnerability line. Rio Marina Way in Mindarie. Catalina developer Satterley Property Group is also planning to connect Rio Marina Way in Mindarie with Portofino Promenade to improve access to its facilities, including a $2 million playground that opened last year. 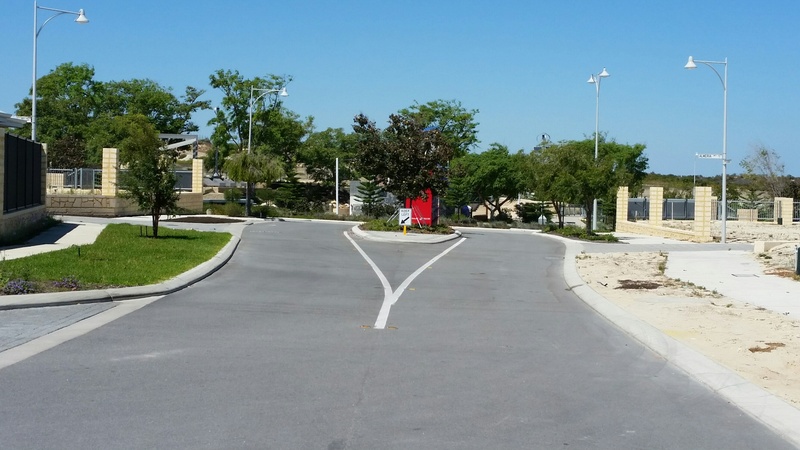 Another report considered the April 9 council meeting noted a 25-signature petition requesting toilets at the playground, which is not yet vested with the City. It said providing toilet facilities there was not consistent with the City’s planning policy for public open spaces as it was a neighbourhood park. 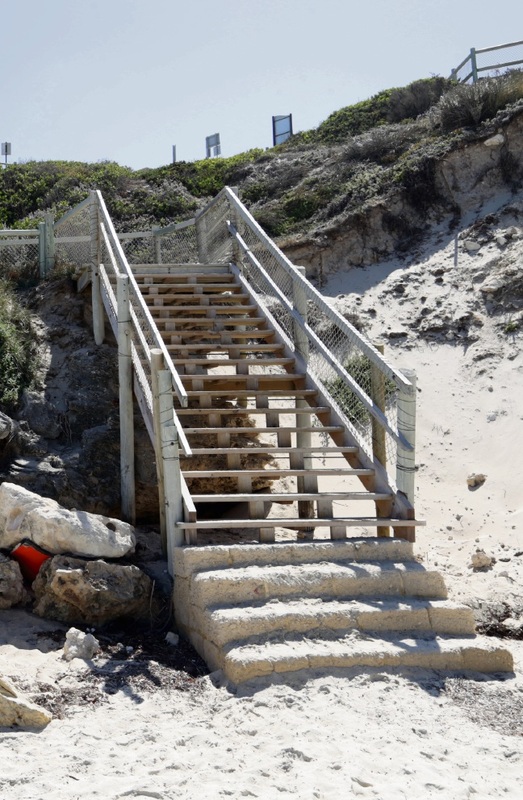 The City of Wanneroo has also invited public comment on plans to upgrade beach access stairs at Claytons Beach. The City plans to replace the timber stairs. 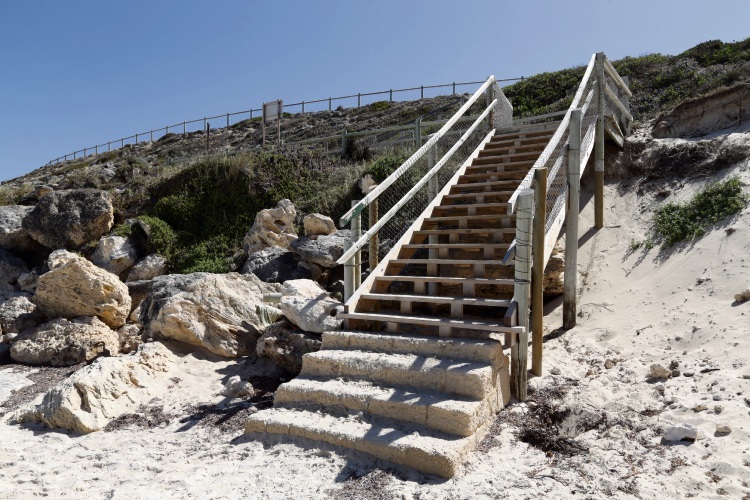 It is running an online survey until May 3 on two options to replace the existing lower timber staircase with fibre reinforced polymer stairs that either align with the existing location or orientate toward the dune. Coastal engineering consultants MP Rogers and Associates have reviewed existing coastal processes and shoreline movement information to determine the appropriate form and location of access, and recommended two concept options. The City is also seeking information in regards to issues with the functionality and usability of the existing beach access, particularly in winter. Visit www.wanneroo.wa.gov.au to have your say.